One of the things I love about photography so much is that there is no limit to your creativity and the only limit you can set for yourself as a photographer is your imagination. 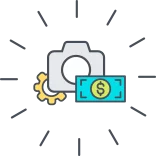 Photography gives users the freedom to capture whatever it is we want and share what it is we captured so that others might see the beauty in it as well. One of my new found things that I’ve enjoyed photographing is abandoned buildings. At first, it sounded a bit creepy and weird to me as well so don’t worry you’re probably not the only one. However, once I gave it a try and explore different creative ways and techniques as to how I can exploit the beauty in these building themselves, I began to enjoy it. Photographing abandoned buildings is very interesting in many ways. One of the key things that grabbed my interested was the story some of these building told without even having to ask. 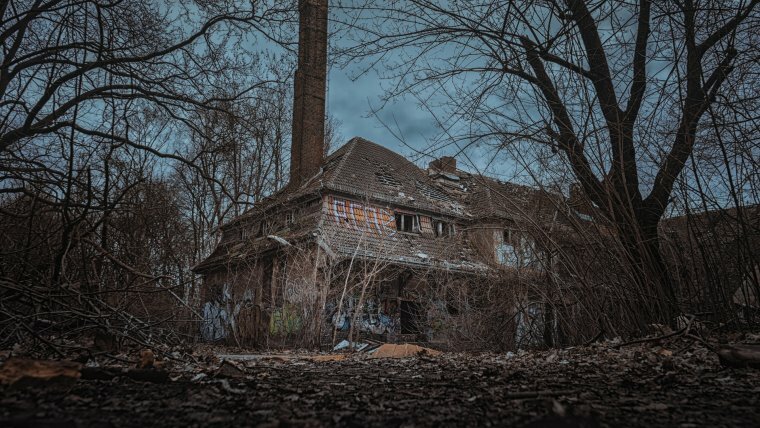 Some might seem a bit creepy, especially if the building was a hospital or some institution for the ill but others hold some historic value that you can see written all over it. In Jamaica, Caribbean history is something that is taught very vividly in schools and cherished by the natives. Growing up and having to learn about this history, you were encouraged to also visit these historic but abandoned buildings to learn a bit about what happened within it and the purpose it served. In this article, I will be sharing some short but very useful tips as to how you can properly photograph abandoned buildings and tell a story through these images. One of the first tips I will give to you if you intend on photographing an abandoned building is to consider bringing a flashlight without. These buildings are often obviously without electricity and probably have been for decades to you want to make sure you can see where you’re going and what you’re doing. In addition to that, you also need to be aware of what you’re doing for safety reasons. Some of these buildings may still have some weak spots or dangerous things lying around that can cause harm to you if you’re not careful. However, apart from the obvious in regards to your safety, the flashlight can also help as a tool during your photography. A flashlight or even the light from your phone can help in the creative process in adding some light to a room while taking long exposure shots which we will also discuss later on in this article. It might take a little practice to do it correctly and make it work for your pictures but I assure you, having a sufficient light source during the process of photographing abandoned buildings can be very helpful in many ways. I know in previous articles I’ve written, we’ve spoken about the tripod in the sense that its helpful but not always needed in every genre of photography. 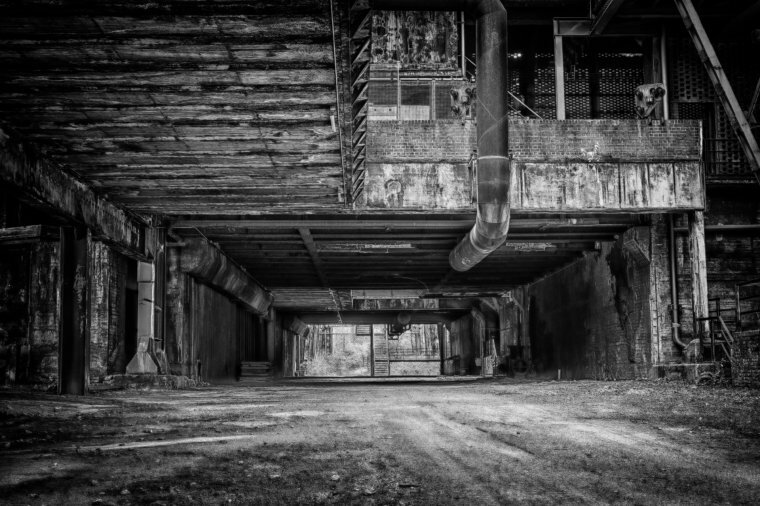 However, when it comes to photographing abandoned buildings, not using a tripod is not really an option. 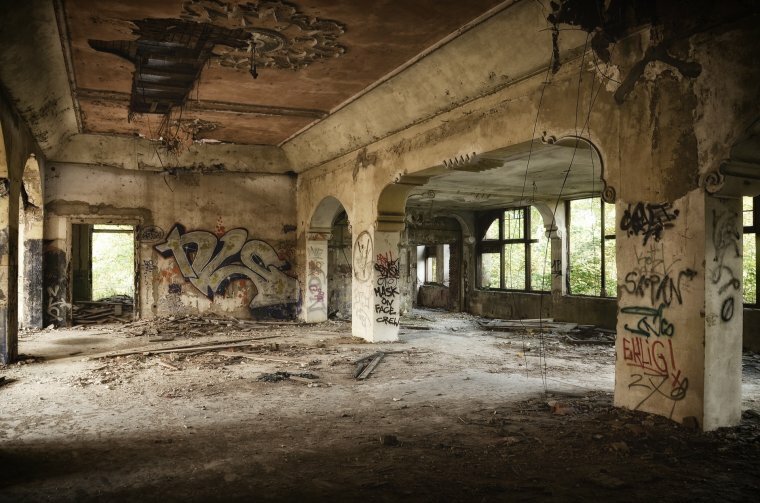 In most cases, during the duration of photographing the inside of an abandoned building, you will need to have long exposure times. In these low light situations, It is important to have your camera capture or absorb as much light as possible for a well-lit image. During this process of long exposure, as some of you may know, you cannot have too many movements happening within your frame or by the camera as it will enable the opportunity for motion blur to occur. 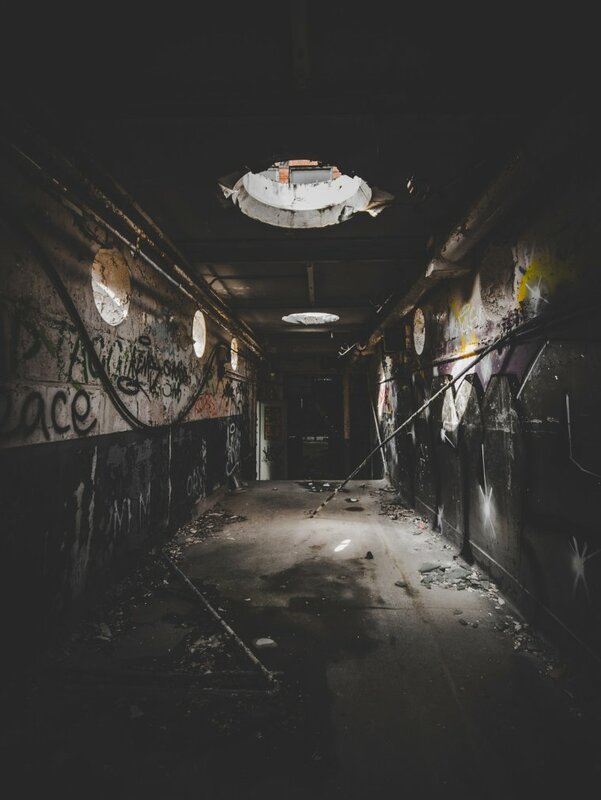 This is why you will definitely need a tripod when photographing these abandoned spaces in low light as the other options may not work in your favor. Shoot these spaces through a wide-angle lens can often add a sense of context or perspective in regards to the bigger picture. Your viewer can now see all the different characteristics of the building or space itself within one frame and get an understanding of what the building was about or what purpose the building served when it was not abandoned but rather occupied by whoever. Shooting wide always helps to capture a lot more than what meets the eye and can be very beneficial in telling your story. I usually shoot these wide angle shots with my 24mm f/2.8 but don’t be afraid to go as wide as 10mm if you have the lens to do so. As much as possible, don’t forget to capture the little details in and around the building when you’re shooting. There is often some small elements that can speak to the nature or characteristics of the building itself and will assist in setting the mood or tone of your images. These details will help to give you a definite meaning or idea of the space is about and also put the finishing touches on narrating your story as the photographer or storyteller. It is always a pleasure to share some of these tips with you that has been a great asset to me as a photographer and I only hope they have great help to you as well. Until next time, thank you for stopping by to give this article a read and I look forward to seeing you again.